James, the father of Judas [not Iscariot], is mentioned twice (Luke 6:16; Acts 1:13) as the father of one of the 12 disciples, but is otherwise completely unknown. James, the son of Alphaeus (Matthew 10:3; Mark 3:18; Luke 6:15; Acts 1:13), elsewhere called "James the Less" [or "younger"] (Mark 15:40), was one of the 12 disciples. Apart from being listed with the other disciples, this James is completely obscure. Thus, it is unlikely that he's the author of this epistle. James, the son of Zebedee and brother of John (Matthew 4:21, 10:2, 17:1; Mark 3:17, 10:35, 13:3; Luke 9:54; Acts 1:13), was one of Jesus' intimate disciples, but his martyrdom by A.D. 44 (Acts 12:2) makes it very unlikely that he wrote this epistle. James, Jesus' half-brother (Matthew 13:55; Mark 6:3; Galatians 1:19), was one of the "pillars" in the Church at Jerusalem (Acts 12:17, 15:13-21, 21:18; Galatians 2:9, 12). Tradition points to this prominent man as the author of this epistle; and this best fits the evidence of Scripture. James makes a clear point that faith without works cannot be called faith. Faith without works is dead, and dead faith is worse than no faith. Faith must work. It must produce, it must be visible. Verbal faith is not enough; mental faith is not sufficient. Certainly, we must have faith, but it must be more. It must inspire action. Faith also endures trials and hardships. Trials come and go, but a strong faith will face them head-on and not cower in fear. Faith also obeys the Word. It will not merely hear and not do. It will not tolerate inaction or compromise for the sake of culture or tradition. Faith also controls the tongue. This small but powerful part of the body must be mastered. Faith can do that. Faith acts wisely. It gives us the ability to choose wisdom and to act wisely. Faith produces separation from the world and submission to God. And finally, faith waits patiently for the coming of the Lord. Through trouble and trial, it stifles complaining. TO WHOM: Believers among the 12 tribes of Israel. PURPOSE: To comfort believers undergoing trials for their faith. KEY VERSE: 2:26 "For as the body apart from the spirit is dead, so also faith apart from works is dead." LIFE AND MINISTRY PRINCIPLE: Faith is the foundation of works. Note the repetitions: "Faith without works is dead" in 2:17, 20, and 26. When the soul is separated from the body, the body decays. In a similar way, faith without works is dead. Faith justifies the man; works justify the faith. Of the 108 total verses in James, 60 of these are commands for practical Christian living. Mark and study these commands. The basic theme of 1 Peter is the proper response of Christians to suffering. Peter knows that the readers will soon be facing more persecution than ever before. So, he endeavors to give them a divine perspective that will help them to endure the trials without wavering in their faith. They should not be surprised at their trials because the One they follow also suffered and died (2:21; 3:18; 4:1, 12-4). After adequately addressing the issue of submission, Peter goes on to discuss "the fiery trial which is to try you" (4:12). He encourages them to rejoice as partakers of the suffering of Christ. That response to life is truly the climax of one's submission to the hand of God working in all things in their lives. The salvation of the believer. The submission of the believer. The suffering of the believer. TO WHOM: Exiles being persecuted for their Christian faith. PURPOSE: To warn of the danger of persecution from those outside of the Church. KEY VERSE: 1 Peter 4:12-13 "Beloved, do not be surprised at the fiery trial when it comes upon you to test you, as though something strange were happening to you. But rejoice insofar as you share Christ's sufferings, that you may also rejoice and be glad when his glory is revealed." LIFE AND MINISTRY PRINCIPLE: Response to persecution should be based on Scriptural principles. While the book of 1 Peter deals with problems from the outside, 2 Peter deals with problems from the inside. Here Peter writes about the false teachers who are peddling false doctrine. In this book, the Apostle Peter contrasts between the knowledge and practice of truth versus falsehood. He writes to expose the dangerous and seductive work of the false teachers. He further warns believers to be on their guard so they will not be "led away with the error of the wicked" (3:17). He also writes to encourage the readers to "grow in the grace and knowledge of our Lord and Savior Jesus Christ" (3:18). Perhaps the most important exhortation we can draw from 2 Peter is that the Christian life demands purposeful diligence in pursuing moral excellence, knowledge, self-control, perseverance, godliness, brotherly kindness, and selfless love. And finally, Peter warns the false teachers that, although God may be long-suffering in sending judgment, ultimately it will come. In view of that fact, believers must be reverent, blameless, and steadfast in their devotion to the truth of God. TO WHOM: Christian exiles, probably the same group listed in I Peter. PURPOSE: To warn of danger from within: Apostasy and false teaching. 1:20-21 "knowing this first of all, that no prophecy of Scripture comes from someone's own interpretation. For no prophecy was ever produced by the will of man, but men spoke from God as they were carried along by the Holy Spirit." 3:9-11 "The Lord is not slow to fulfill his promise as some count slowness, but is patient toward you, not wishing that any should perish, but that all should reach repentance. But the day of the Lord will come like a thief, and then the heavens will pass away with a roar, and the heavenly bodies will be burned up and dissolved, and the earth and the works that are done on it will be exposed. Since all these things are thus to be dissolved, what sort of people ought you to be in lives of holiness and godliness"
LIFE AND MINISTRY PRINCIPLE: The greatest two dangers from within the Church are apostasy and false teachers. While 1 Peter speaks of the new birth through the living Word, 2 Peter stresses the need for growth in the grace and knowledge of Christ. The best antidote for error is a mature understanding of the truth. Read 1 and 2 Peter and make a list of everything that is referred to as "precious". Read 1 Peter and underline each use of the key words "suffering" and "grace". Study the life of Peter in the Gospels and the book of Acts. Write some of your observations. From 2 Peter, compile a list of the characteristics of ungodly men or false teachers. Save this list to compare it to those listed in the book of Jude. From 2 Peter 1:5-10, list the qualities that believers are to add to their lives. Compare the "day of the Lord" (2 Peter 3:10) to the day of judgment (2 Peter 3:7). John writes this first epistle at a time when the Apostles' (apostolic) doctrine is being challenged by a rapid increase in false teachings. Like 2 Peter and Jude, John refutes erroneous doctrine and encourages his readers to walk in the knowledge of the truth. God is light: To engage in fellowship with Him, we must walk in light and not in darkness. To walk in His light means to regularly confess our sins, allowing the blood of Christ to continually cleanse us. God is love: Since we are His children, we must walk in love. In fact, John says that if we do not love, then we do know God. Also, love is more than just words; our love needs to be practical. Love is giving, not getting. God is life: Those who fellowship with Him must possess His quality of life. Spiritual life begins with spiritual birth through faith in Jesus Christ, which infuses us with God's life – eternal life. Thus, whoever walks in fellowship with God will walk in light, love, and life. TO WHOM: Christians who were falling into Satanic deception which was breaking their fellowship with God and other believers. PURPOSE: To explain the standards of true fellowship in Jesus Christ. 1 John 1:8-10 "If we say we have no sin, we deceive ourselves, and the truth is not in us. If we confess our sins, he is faithful and just to forgive us our sins and to cleanse us from all If we say we have not sinned, we make him a liar, and his word is not in us." 1 John 5:11-13 "And this is the testimony, that God gave us eternal life, and this life is in his Son. Whoever has the Son has life; whoever does not have the Son of God does not have life. I write these things to you who believe in the name of the Son of God that you may know that you have eternal life." LIFE AND MINISTRY PRINCIPLE: True fellowship with God and fellow believers is based on the standards of God's Word and maintained by the principle of confession of sin. The basic theme of this short letter is that the readers should continue walking in God's commandment to love one another. John also delivers a stern warning not to associate with or assist teachers who do not acknowledge the truth about Jesus Christ. PURPOSE: To admonish believers to be faithful to sound doctrine and to warn against false teachers. KEY VERSE: 2 John 1:9-10 "Everyone who goes on ahead and does not abide in the teaching of Christ, does not have God. Whoever abides in the teaching has both the Father and the Son. If anyone comes to you and does not bring this teaching, do not receive him into your house or give him any greeting." LIFE AND MINISTRY PRINCIPLE: We must guard against false teachers who cause us to lose the spiritual qualities we have developed and who make us partakers of their evil. NOTE: The book of 2 John has no chapter divisions. Therefore, only the verses are listed. The basic theme of this letter is for the readers to enjoy and continue to have fellowship with one another, especially full-time Christian workers. John uses two different men, Gaius and Diotrephes, to contrast truth and servanthood with error and selfishness. TO WHOM: The book is addressed to a man named Gaius. It is written to both him and the church with which he was connected. There is no way to identify who this man was, as the Bible gives no further information about him. The truths of the letter are applicable to all believers. PURPOSE: To commend Gaius and Demetrius for their Christian testimony and to reprove the unchristian behavior of Diotrephes. KEY VERSE: 1:11 "Beloved, do not imitate evil but imitate good. Whoever does good is from God; whoever does evil has not seen God." LIFE AND MINISTRY PRINCIPLE: Our lives are examples of either good or evil to others around us. NOTE: The book of 3 John has no chapter divisions. Therefore, only the verses are listed. Read through 1 John and underline the word "know" or "known" each time it is used. Then go back, and from what you have underlined, make a list of things we should know. Read through 1 John and mark each use of the words "love" and "truth". Summarize what is taught about these two subjects. List the evil characteristics of Diotrephes given in 3 John 9-10. List the traits of the born-again believer in 1 John 2:29; 3:9; 4:7; 5:1, 4, 18. Almost all of the epistles written by Paul, James, John, and Peter confront or allude to the problem of false teachers. But Jude goes beyond all of the other epistles in his relentless and passionate denunciation of the apostate teachers. At the beginning of his letter, Jude focuses on the believers' common salvation. After that, however, he abruptly changes gears and challenges them to fight for the faith. He reminds them that the danger is very real, that false teachers have crept into the Church, turning God's grace into license to do as they please. Jude reminds such men of God's past dealings with unbelieving Israel, disobedient angels, and false prophets. And he warns the true believers to not be caught off guard. The challenge is great, but so is the God who is able to keep them from stumbling. TO WHOM: All Christians, although the specific audience at the time were members of churches in Palestine and/or Asia. KEY VERSE: Jude 3 "Beloved, although I was very eager to write to you about our common salvation, I found it necessary to write appealing to you to contend for the faith that was once for all delivered to the saints." LIFE AND MINISTRY PRINCIPLE: We must be alert for false teachers who creep in unawares and divert believers from the truth of God's Word. NOTE: The book of Jude has no chapter divisions. Therefore, only the verses are listed. In spite of its limited size and subject matter, the book of Jude was accepted as authentic God-breathed Scripture and quoted regularly by the early Church. The writer identifies himself as "a bondservant of Jesus Christ and brother of James" (v. 1). This designation, combined with the reference in verse 17 to the Apostles, makes it unlikely that this was written by the apostle Jude [also known as "Judas the son of James" in Luke 6:16 and Acts 1:13]. The traditional view is that Jude is one of Jesus' half-brothers called "Judas" in Matthew 13:55 and Mark 6:3. Like his brothers, Jude did not believe in Jesus as the Messiah before the resurrection. The only other biblical allusion to him is in 1 Corinthians 9:5 where it is recorded that "the brothers of the Lord" took their wives along on their missionary journeys. Make a list of the characteristics of false teachers identified in the book of Jude. Study Jude 20-23. List the keys given for protecting yourself from false teachers such as described in the book of Jude. One of the key words in Jude is "ungodly". He uses it to describe men, lusts, deeds, sinners, and speeches. 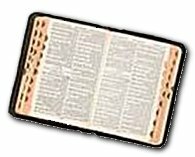 1Some of the verses in Jude refer to incidents that are not recorded in our Bible. For example, the argument between Michael and Satan over Moses' body comes from a book called "The Assumption of Moses" which was familiar to the readers of the first century. Many think Jude is referring to a book that has perhaps been lost from the Bible. It has not been lost; we still have it. It, and other so-called "lost books" can be read in any reputable theological seminary library. But they are a mixture of truth and error, and what these New Testament writers sometimes do is refer back to them for some recorded instance that is true, so that what is recorded here is perfectly true, but not everything in "The Assumption of Moses" is. In verse 14, Jude quotes or references the "Book of Enoch", another book we do not find in our Bible, but which is also available today in Seminary libraries. The quotations Jude uses are truth; however, the entire book from which they were taken is not.